Update: this series recently won a Telly Award! Congrats to the whole BW Films crew! 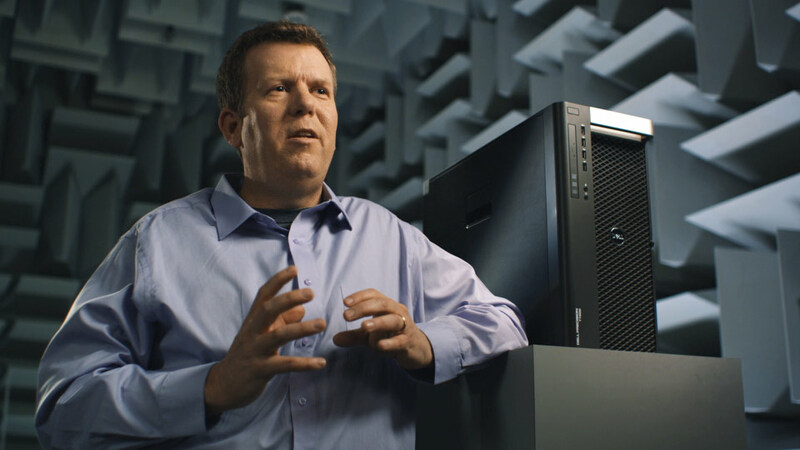 We shot these spots in Dell’s acoustic lab’s “anachoic chamber,” a huge and very cool room dedicated to audio engineering and precision recording. I feel like I balanced my “sound guy karma” for all the times I’ve tortured the sound guy with planes, AC units, traffic, etc. Kudos to the whole team at BW Films for the flawless production, and to DP Vance Holmes and editor Jeff Stolhand in particular. Click here to see the T3600-T5600 workstation video.